Elizabeth Harwood's father, at the start of her career, took the decision to collect programmes, cuttings and all other material relating to her professional life. Her husband Julian Royle continued this practice after their marriage. The papers were maintained and held at the Royle home, Masonetts in Ingatestone, Essex, until July 17th 2003 when they were given to the RNCM. Additional recordings (mainly on cassette but some on CD) have since been donated to the RNCM, in September 2006 and March 2007. 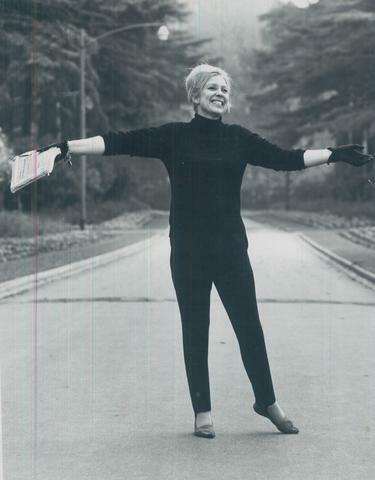 Correspondence, programmes, posters, recordings, diaries, photographs, press cuttings, accounts and other items covering the professional career of the soprano Elizabeth Harwood. Costumes (La Traviata and The Tales of Hoffmann) and portrait of Antonia (Tales of Hoffmann) on loan to the Costume Museum, 1E Tavistock Street, London WC2E 7PR. Private correspondence, portrait as Susannah (Marriage of Figaro 1965) and costume drawings (Sophie - Rosenkavalier; The Countess - Count Ory; Fiordiligi - Cosi fann tutte) retained by Julian Royle. RMCM Archive. A list of the contents of Elizabeth Harwood's reference library of books, recordings and music is available. Duplicates, bank statements and cheque stubs have been removed from the collection. Musical scores (annotated and used by Elizabeth Harwood) at the National Opera Studio c/o Isobel Flinn. A list will be available. Her Bechstein piano is also on loan to the NOS. Video recordings to be given (list available). Elizabeth Harwood's copyright is vested in her widower, Julian A.C. Royle. Other copyright according to the Copyright, Designs & Patents Act 1988. Indexes of Elizabeth Harwood's performances (arranged chronologically, by composer, and by location) are available.